A new case of autism is diagnosed almost every 20 minutes, and is one of the fastest-growing development disabilities in the Unites States. So what is it? And how can you help increase awareness? Recently, researchers have discovered autism appears to be caused by a combination of autism risk genes and environmental factors influencing early brain development, according to AutismSpeaks.org. This group of complex disorders of brain development results in a varied display of characteristics. There may be challenges in social interaction and behavior, or intellectual and motor abilities, but one things is for certain—some individuals with autism have amazing excelled abilities in visual skills, music, math and art. It’s Autism Awareness month. So, put on a puzzle piece and share the logo on your blog, Facebook, Twitter and other social media. 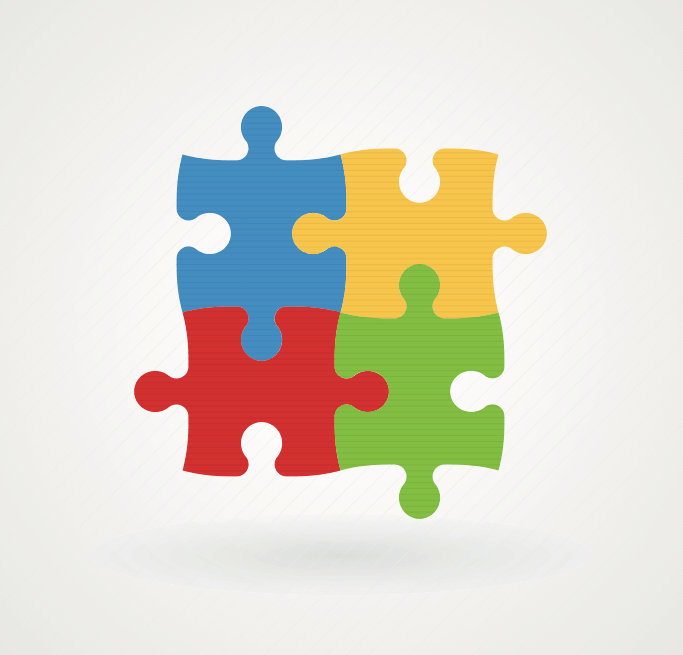 In 1963, the logo of a puzzle piece was created to symbolize Autism. Why a puzzle piece? Autism was considered a very mysterious condition for years. Now that we know more about the disability, the design reflects the complexity of communication, social and behavioral issues and those autism affects.